I started this blog in November of 2009 to provide a venue where I could offer other resources to my students. A place where they could find more resources for the classes I teach, as well as blog posts discussing current subjects. Since then, I have steadily (well, sometimes steadily) added to the content and others besides my students have started visiting. 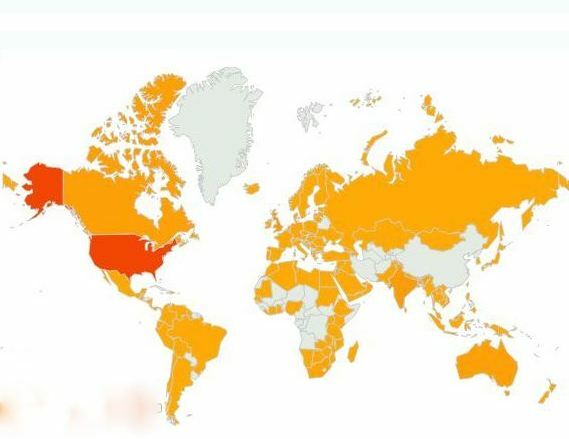 The map above shows all the countries from which visitors have come to the blog over the past 90 days. Amazing! Truly the law of unexpected benefits, or my version of “if you build it, they will come”. I appreciate all of your support and urge you to share your project/program management experience with us. I see Project and Program Management as a way to embrace our diversity, bridge our differences and meet our personal professional goals. Thanks for stopping by. Hope to see you soon.